The Reflections books are recognized for having arrangements that sound rich and full without making undue demands on the pianist. 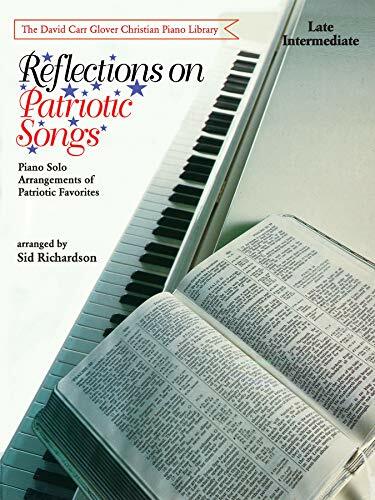 The tradition continues with these great-sounding patriotic songs. The collection contains 16 titles, each an important part of the American heritage. Sid Richardson's arrangements are sensitive to the character of the piece: the reflective songs are gentle, but the strong-spirited songs are full of energy. Appropriate for a variety of performance venues, and great for getting improvisation skills 'into the fingers.' This is a collection that will quickly prove its worth.